I had a busy weekend! On Friday morning, I decided I needed an iPhone cover/carrier. As I usually wear business clothes to work, I don’t always have pockets. Why would this be a problem? I walk to work and like to listen to Kelly Petkun’s Knit Picks Podcast. I needed a way to listen to the podcast as I walked without fussing with the earbuds constantly popping out or having to hold the phone. Thus was born the Owl Phone Cover! 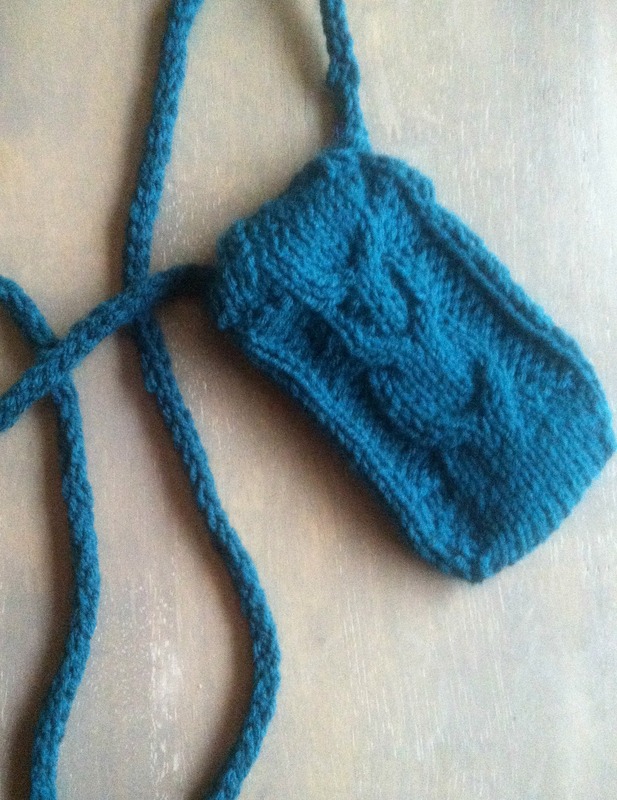 Okay, I’m the last knitter on the planet to do the owl stitch, it’s true. After randomly casting on 12 stitches and increasing to 16 using the magic cast-on method, I sat down and wrote out a pattern idea based around the owl stitch. It’s not a tough thing to do. I only had to make a couple of adjustments, and I’m very pleased with the result! Now I can even keep my iPhone on me and the podcast playing while I cook. 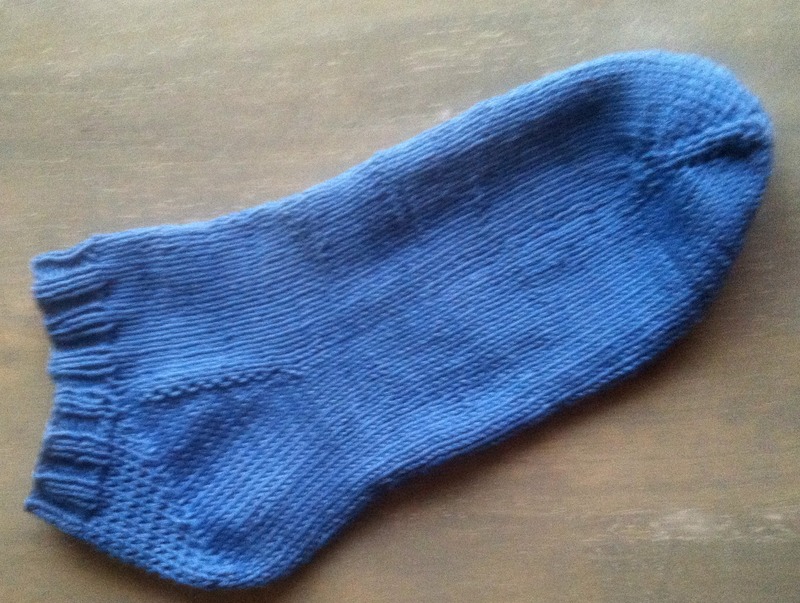 The other big FO of the weekend was the first half of my toe-up sock project! As the Superbowl game played in the background, I busily worked the heel and then the tiny bit of cuff. I was running low on yarn, so the cuff isn’t as long as I had initially planned, but I hear that is the beauty of toe-up socks! You just work until you run out of yarn. If I’m honest, I did cast-off too tightly, though. Luckily, I can still get my foot easily into the sock, and once it’s on, the thing fits like a dream! I’ve read other knitters writing about how it’s like a hug when you try on your first hand-knit socks, and it couldn’t be more true. My foot felt hugged! It was so comfy. I can’t wait to finish the twin. The other toe-up sock (cream coloured) is going a bit more slowly. I’m a big girl and the pattern was designed for someone with more dainty legs. So, I’ve had to do a lot of adjustments. I think I’m still going to be very pleased with this pair in the end as well. Especially if they fit as cozily as my cotton blue ones! Tomorrow (Tuesday) is large project day according to my planner. I will be continuing my seed stitch blanket. I was quite surprised yesterday when I found yet another skein of Charisma yarn hidden away in a random box. I just might be able to make a sizeable cozy blanket after all!